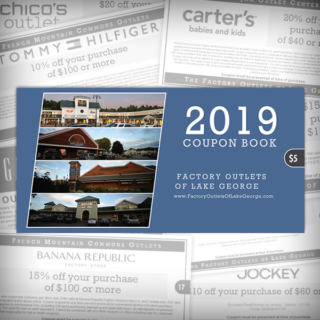 The French Mountain Commons and Log Jam Outlet Centers are a great place to find everything for you and your family! Get yours today and save $100's! Brooks Brothers - Transform lives! 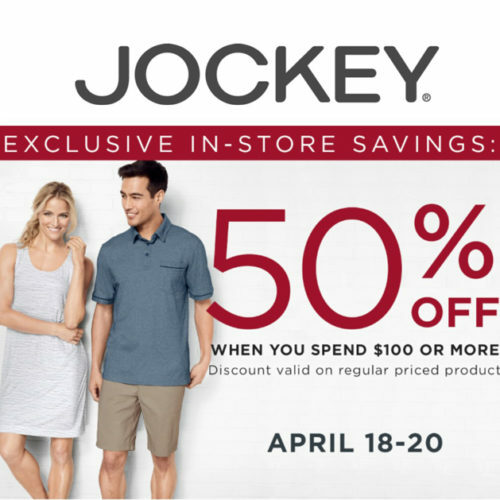 Jockey - 50% OFF $100! 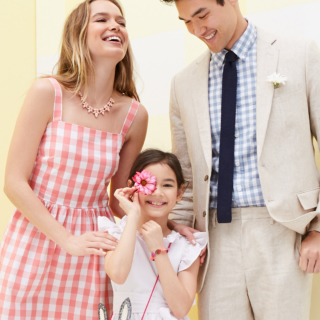 J.Crew - Get ready for Spring! 2019 Coupon Books are here! 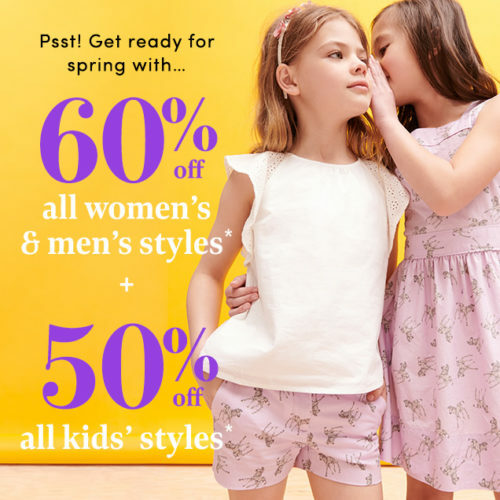 Stop in and get yours today! 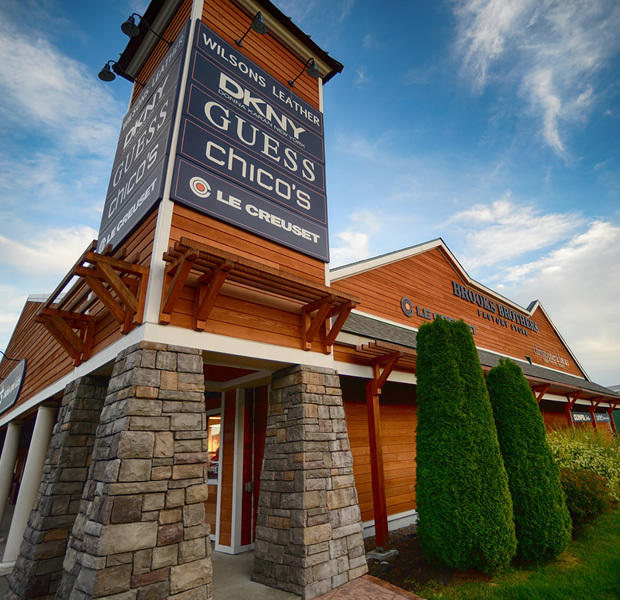 Located in the foothills of the Adirondack Mountains, our outlet center is part of the million-dollar half-mile with over 50 outlet stores, restaurants and more!